With the upcoming release of Star Wars Episode VII, I’d like to reflect on the previous installments and in particular, the often criticized Episodes I-III. While there was much to dislike about them (Jar Jar and over convoluted politics aside) there were a few eloquent and overlooked story threads that are worth considering. While many of these have been discussed in part in the past, some still chalk it up to simple “fan theory” as if to imply that George Lucas is somehow incapable of having any possible depth to the characters or story he created. We are, of course, talking about a franchise that has grossed over 27 billion and possibly counts it’s fans in the billions as well. 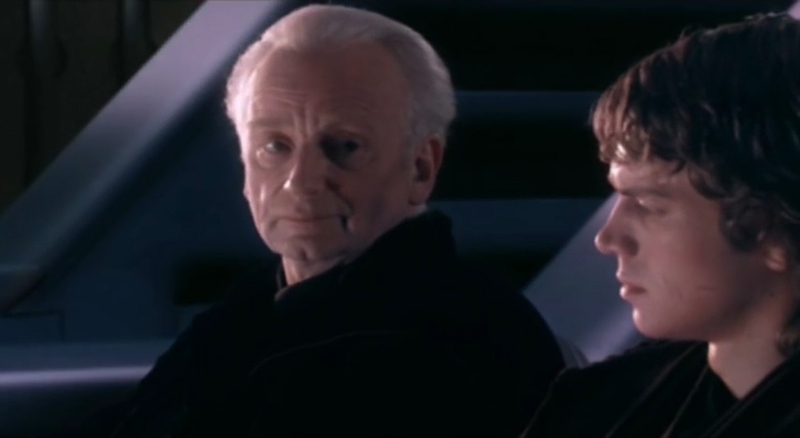 In the scene, as Palpatine is telling Anakin of this, he slows and pauses for a beat, looking at Anakin as he says “create life” – emphasizing, for the audiences’ sake, that this is in reference to Anakin’s birth and actor Ian McDiarmid was no doubt directed to do so by the films director, aka, George Lucas. Repetition, a story telling tool, is used to bring the viewer’s mind back to the first time the term midi-chlorians was used waaaay back in Episode I with regards to Qui-Gon’s search for the origin of Anakin. This is where it begins to get really interesting. This was the impetus that ultimately drove Anakin to the dark side in order to try to save the life of Padmé. Near the end of Episode III, Anakin meets with Padmé only to discover that she is with Obi-Wan and no longer trusts the man Anakin has become. In his anger, Anakin does the first of many of his signature “force choke”. Padme falls and the fight between Anakin and Obi-Wan ensues, and by the end of which, Anakin is severely burned and left to die. 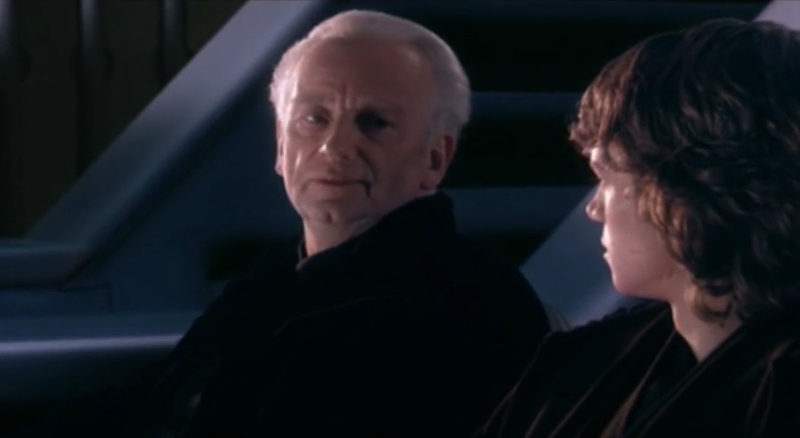 Palpatine shows up and brings Anakin to a medical facility where he is pieced back together in Frankenstein-like fashion in between scenes of Padmé dying on the ship of “unknown” causes. While some have theorized that this was the work of Palpatine taking the life force from Padmé and channeling it into Anakin, I believe it to be something far more tragic. What if Darth Vader’s “force choke” is not actually a choke, but a life-force siphon? If this is a power of the self-serving dark side, then would it not make sense that the only life it could ever truly save is that of the Sith using it? That would in turn mean that Anakin, in completely succumbing to the dark side, discovered how to save a life and in his rage used that discovery to draw the life out of the very person he had hoped to save. And so, in almost typical tragic Shakespearean style, Anakin killed Padmé using the very method he hoped to use to save her.